On Friday, 14 September 2018, I had the privilege of attending the very first day of Comic Con Africa – along with the rest of the #VCrewZA. As such, I was able to watch a live Q&A (question and answer) panel with the one and only Yaya Han. For those who may not know, Yaya Han is a Chinese-American cosplayer who is famous worldwide for her costume designs and fabric patterns. She is also a judge in worldwide cosplay competitions and enjoys seeing how cosplay differs in each country she visits. 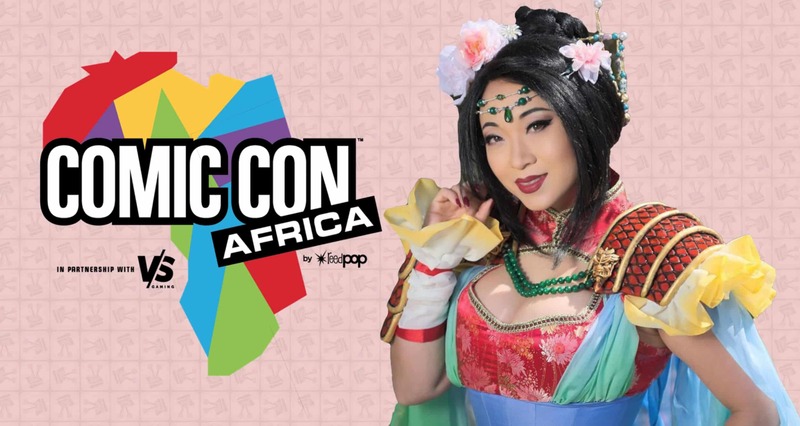 For the first day of Comic Con Africa, she came dressed in her Mulan costume. Apparently she did so because she felt this costume is close to her heritage and the story of Mulan is one she can relate to. What I love about Yaya Han is how truly inspiring she is. She stands for diversity, and admitted in the Q&A panel how it was so nice to see how wonderfully diverse cosplay is in South Africa. She advocates and wants to change the opinions of American society – where being a black cosplayer comes with many difficulties. She likes to motivate and inspire other cosplayers to dress outside of their ethnicity, and not to feel scared of being ridiculed or judged. With that in mind, she imparted some valuable insight to cosplayers in the audience – which I have summarised below. Are you an aspiring cosplayer who is not sure where to start? Here is some really great advice from Yaya Han: the most important part, when starting your cosplay career, is to make sure you are doing it for yourself and not for someone else. Pick something or someone you have always wanted to be and enjoy the process of becoming that person – that is, making the costume and embodying the character you are dressed as. Han says that the best part of cosplay is the “making process”, as well as discovering things about yourself that you never knew you were capable of. Are you a cosplayer who is in slump or simply confused as to how to design and create your costume? When it comes to making your costume, she advises that if you are in a slump on how to make your costume, especially armour, the best thing to do is to watch some YouTube tutorials and to do in-depth research on your costume. She advises beginner cosplayers to use EDA foam as it is easier to work with and fairly affordable. 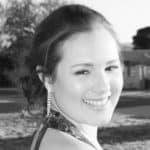 Han actually has a fantastic YouTube channel that features a lot of the costumes that she has made, including several ‘how to’ videos. It is well worth the time to watch and learn from this award winning cosplayer. Are you a cosplayer that feels like you are in a “burnout” phase that you cannot seem to escape? Do not fret, even Yaya Han has those moments. Her advice is to simply persevere through the process of completing your costume. She says that the end result is always worth it – even if you make mistakes. However, that is not to say that you should not take a break if you are burnt out. Han admits that the longest break she has ever taken from the cosplay industry was six months – after making an elaborate costume of Carmilla from Vampire Hunter D! However, she bounced back after that and made her Faye Valentine costume (from Cowboy Bebop). Are you a cosplayer who is still struggling to find meaning in cosplay? Although Yaya Han does advise that you should cosplay for yourself first, before anyone else; she did make mention of how good it makes her feel when she is able to help others. She says that her current life goals are to inspire people and to keep doing interviews and meeting people. She wants to do this in order to help and give people the tools she has learnt, and the motivation to cosplay without reservations about race and physical attributes. She is also very thankful to the cosplay community; a community that has given her the opportunity to fulfill these goals on a daily basis. I must be honest, I felt pretty motivated and inspired to make my dreams a reality after listening to her talk live. 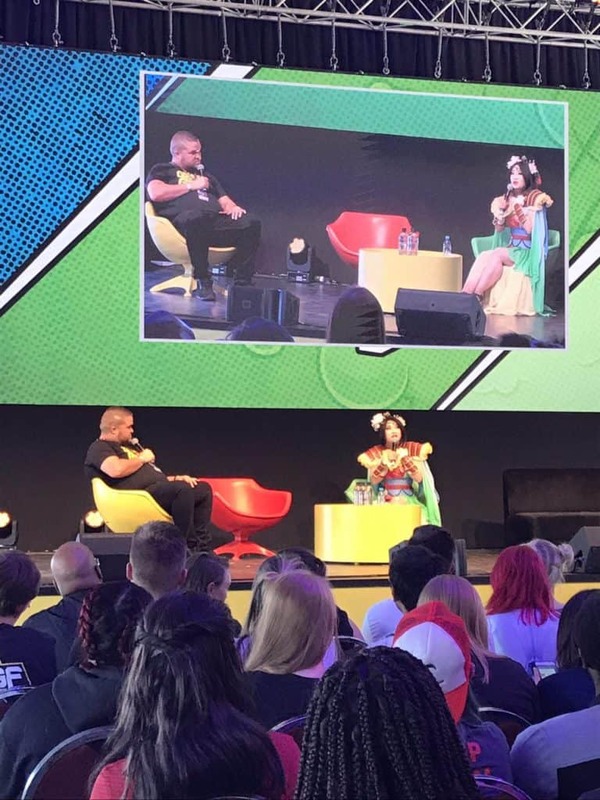 Overall, it was an absolute privilege to be able to see Yaya Han in person and to be able to get some great cosplay advice – a definite highlight of my first comic-con experience!